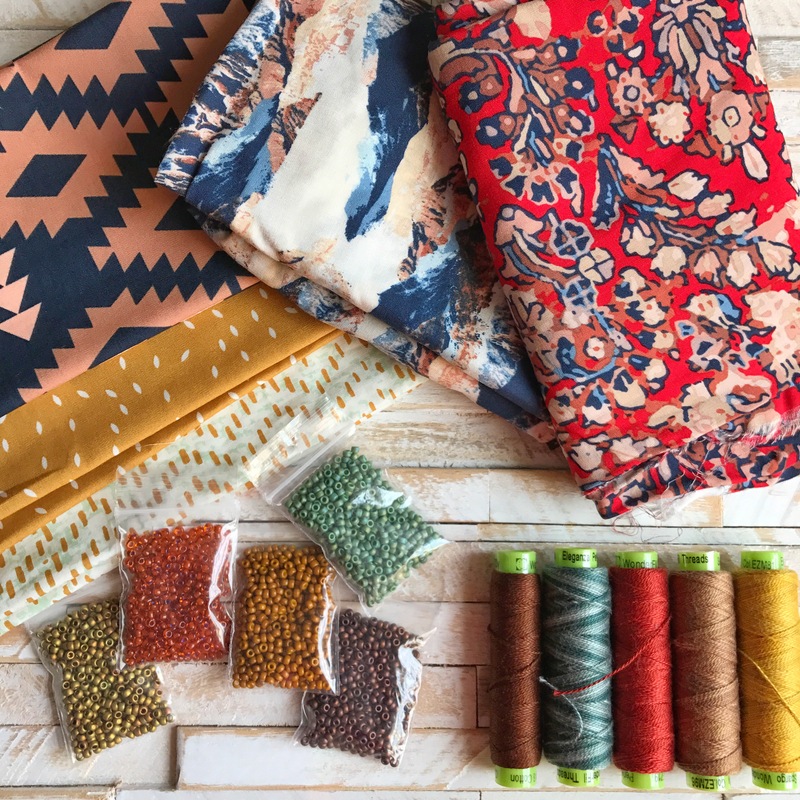 Welcome to week 2 of the Art Gallery Fabrics Rayon Blog Tour! 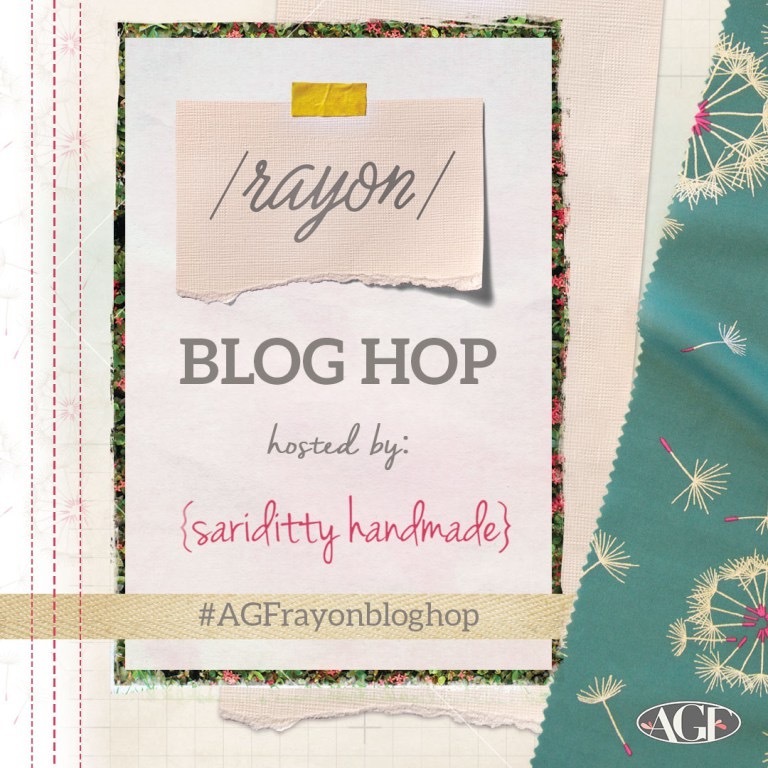 Check out the hashtag #agfrayonbloghop for the beautiful projects made from these soft and buttery rayons! Buttery?! Can that really describe a fabric?! It can! In fact, its the only way I can describe how absolutely soft and smooth these rayons are! If I were a maker of clothing instead of embroiderer of fabric, these would absolutely be a staple of my fabric stash! Being thinner than a quilting cotton, which is what I’m used to using for embroidery, I wasn’t sure what I was in for when I began this project. Note: It’s a really good idea when you’re not sure how your fabric will react to adhesives and the high heat of an iron, to test a swatch and make sure your fabric is not at risk of being ruined. I’m excited to share what I made with my April Rhodes rayons, not having worked with rayons much before this. 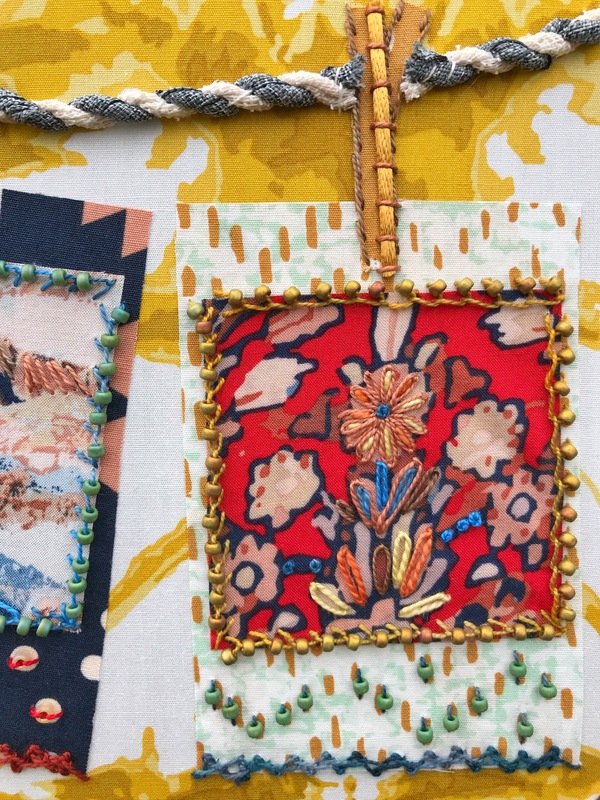 I loved the challenge of straying from the comfortable world of quilting cottons and venturing into the sleek world of rayons! And, you didn’t expect me to whip up a skirt or dress, right?! Okay, good, because I didn’t! 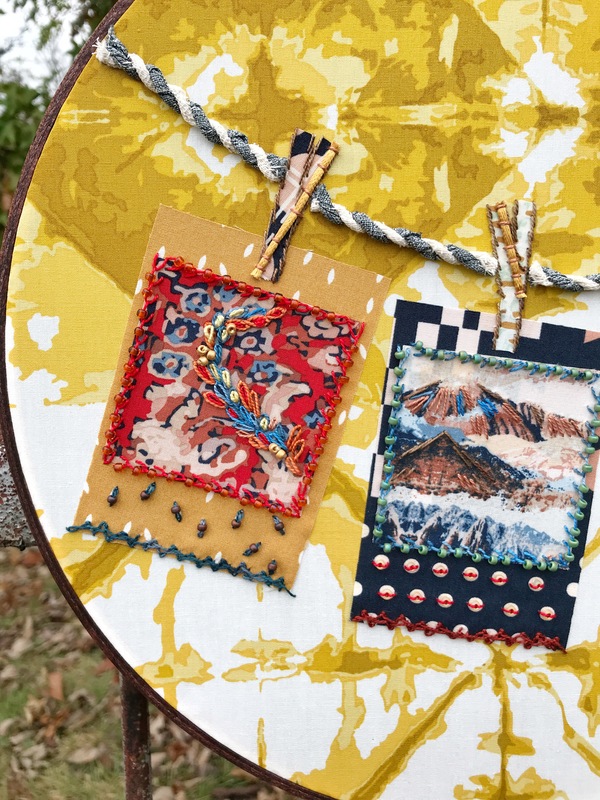 Fabric designs from April Rhodes make me feel like a world traveler. To me, they embody the spirit and colors and visuals of exploration and adventure. I wanted to capture that sense of adventure in my project, the Polaroid Photo hoop. Combining the rayons with quilting weight cotton worked really, really well. If anything, stitching though layers of fabric (when one of those layers is a rayon! ), went better than I had planned. Working delicate stitches on several layers of cotton can be tedious at times, but the thinner weight of the rayon worked great with the stitches and beads and sequins that I layered onto the fabric. I love how photos, and especially Polaroid photos, capture a moment in time. 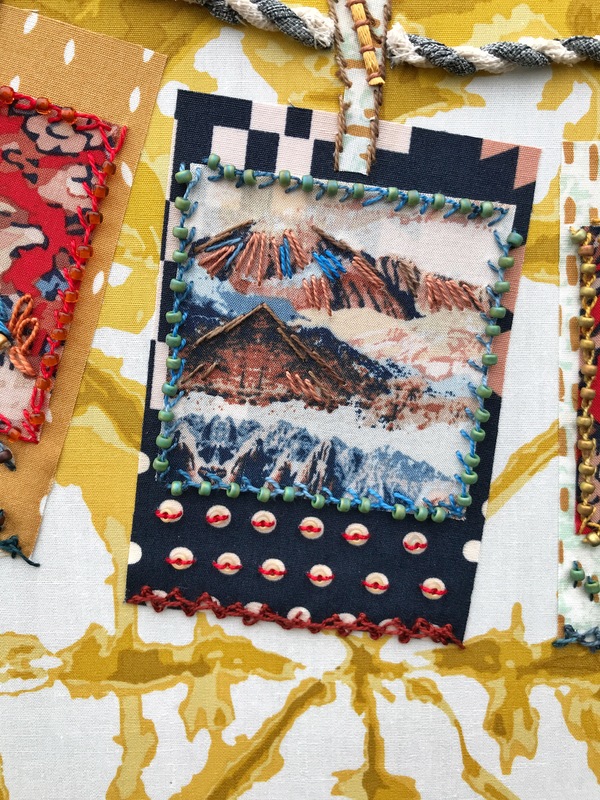 These “photos” of fabric have a vintage vibe that captures the essence of exploration. 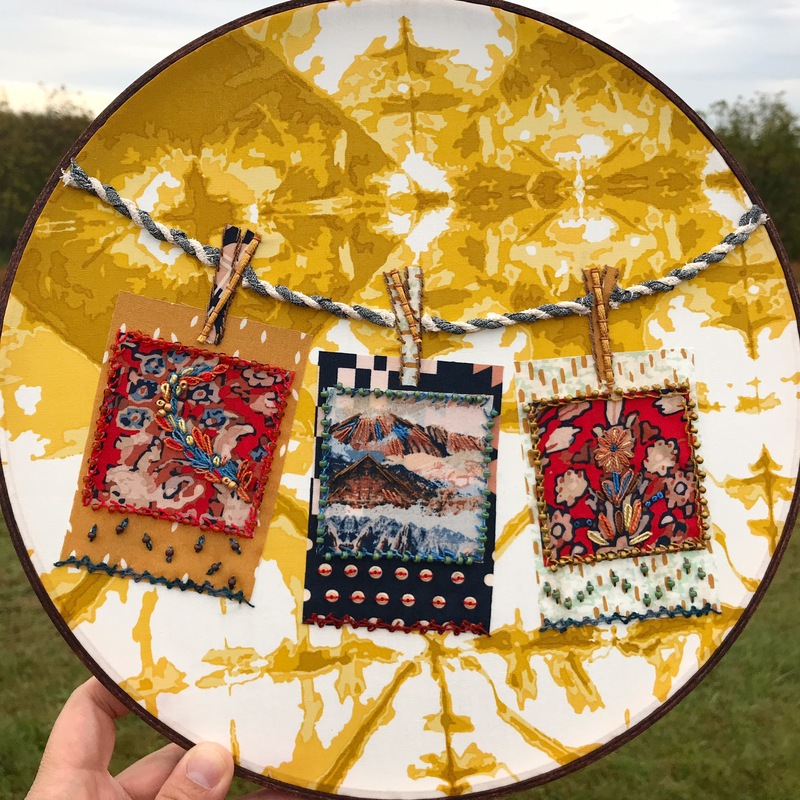 Working with the patterns of the fabric, I embellished with like colors in my favorite Eleganza Threads and with one of the brand new seed bead palettes from Fusion Beads. I love using seed beads and jumped at the chance to try out a hand selected palette of bead colors! This one is Autumn Colors and went perfectly with my fabrics. *Note: these are size 8 seed beads. If you are new to using beads in your embroidery, I would suggest starting with a size 8 or the slightly larger size 6 seed beads. I hope you enjoyed my stop on the rayon blog tour! 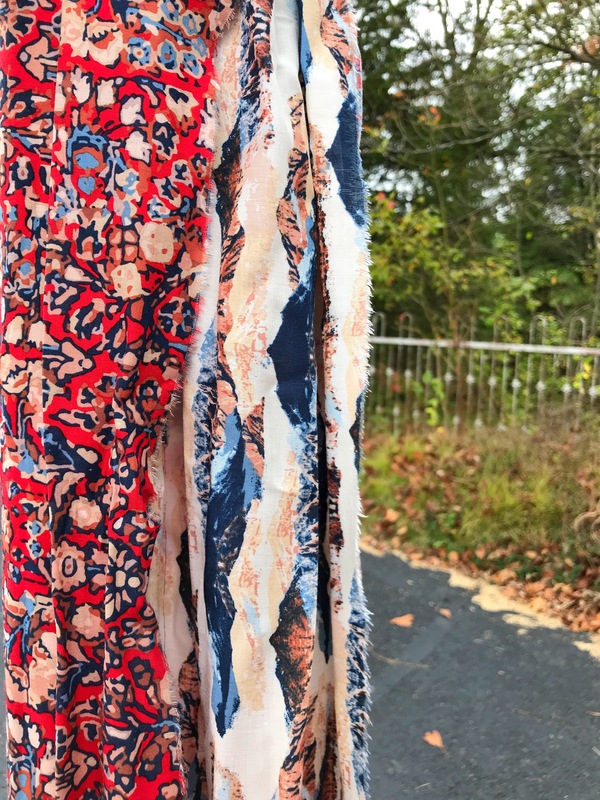 Be sure to check out the links below to see the beautiful variety of projects created with Art Gallery Fabrics Rayon!